Mallorca Spain is an island located about 100 miles off the coast of Spain in the Mediterranean Sea. 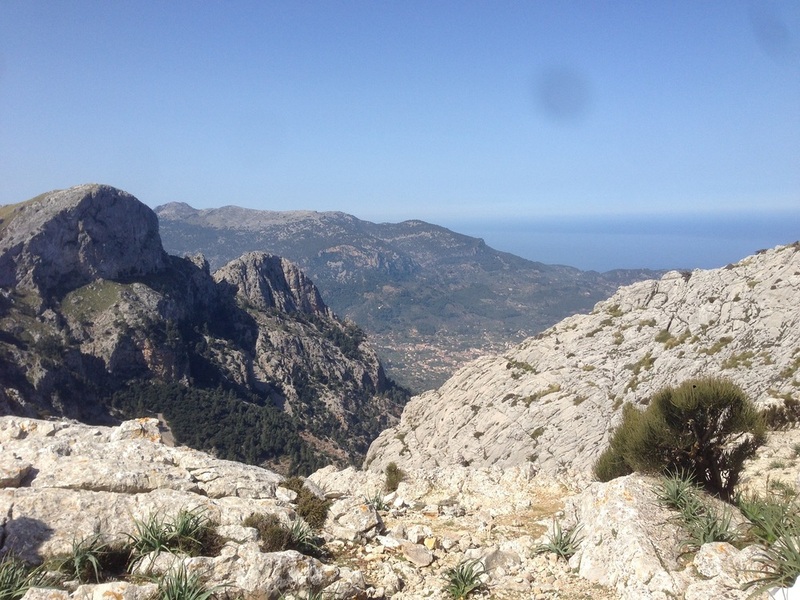 There is superb walking in the breathtaking Serra de Tramuntana Mountains. We also explore Mallorca's rich cultural history, wander through picturesque villages, sample traditional Spanish cuisine and relax at our beach front hotel. The allure of sun, sand and sangria have enticed visitors to the Island of Mallorca for years, and just as alluring but lesser known are the great walking trails, stunning scenery and the wealth of historical and cultural interests. 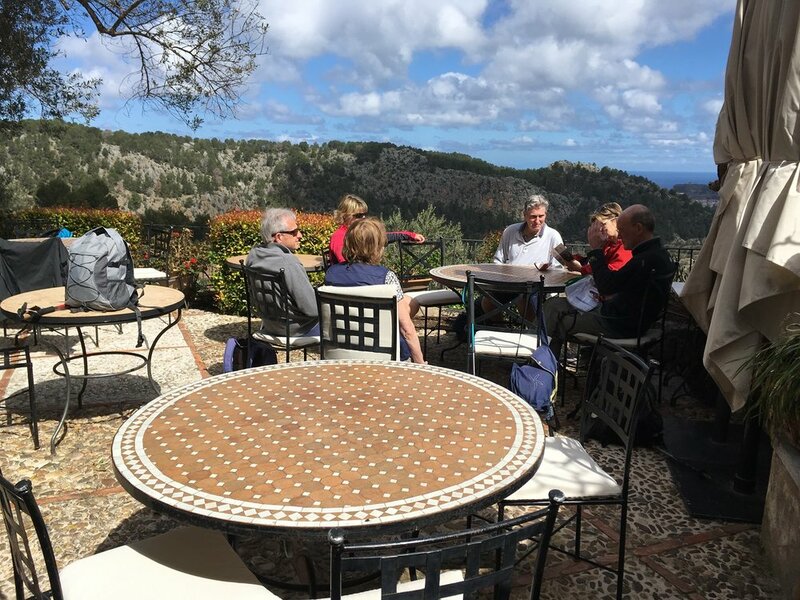 Our guided walking tour is based in a seaside village nestled between the Mediterranean Sea and the magnificent Serra de Tramuntana Mountain range. Mallorca has become a walker’s paradise for both the amateur and experienced walker, offering superb and varied itineraries – from the rugged coastline with beautiful sea views and mountain scenery, overland walks between quaint and cobble-stoned villages through areas of orange groves and gnarled olive trees, to deep gorges and waterfalls carved into the limestone bedrock. 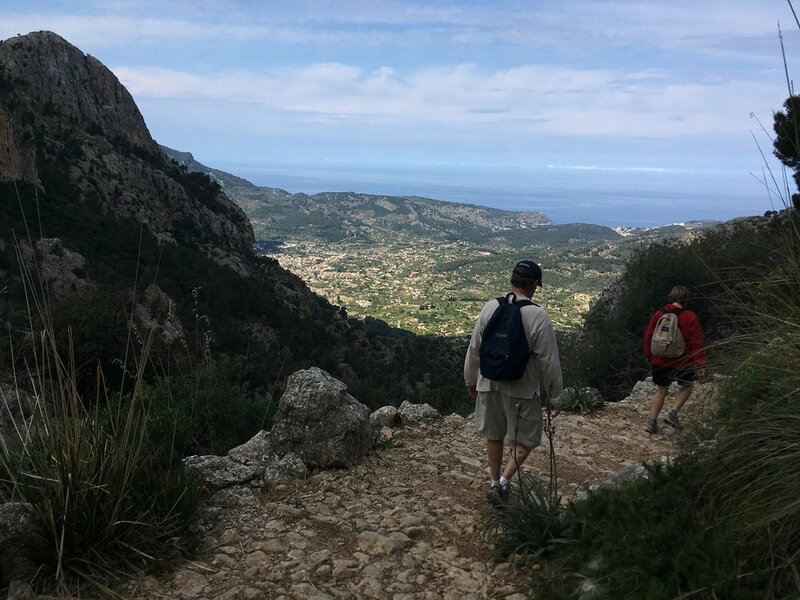 Enjoy superb walking in the breathtaking Serra de Tramuntana Mountains with a choice of two levels of guided walks each day. We walk five days and have a free day to do as you please from our center base in Port Soller! 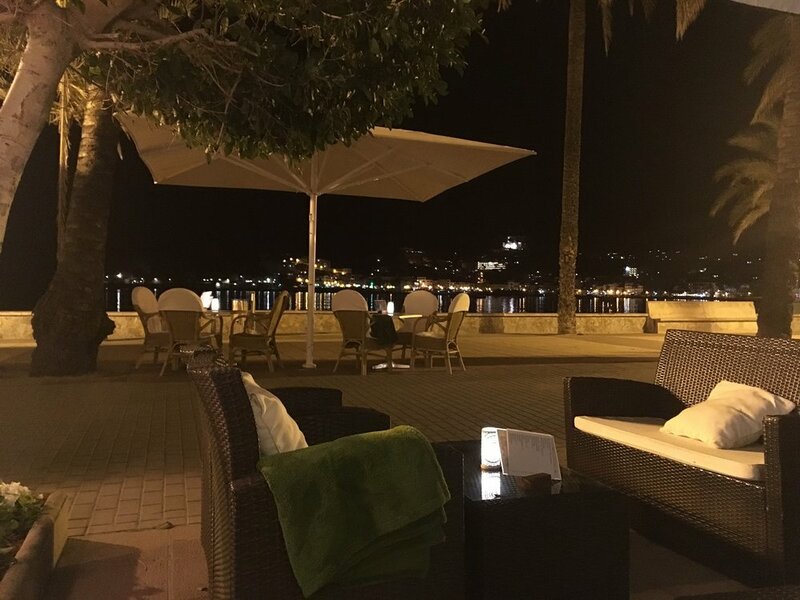 We are based in Hotel Marina Soller located in Port Soller for all seven (7) nights. The hotel is nicely situated in the quiet area of the pedestrian promenade and directly on the sea front. Restaurants, cafes, shops and the bustling harbor are just steps away. All rooms are en-suite accommodations for seven (7) nights and include a bathtub or shower, television, hairdryer, telephone, safe-deposit box, air conditioning / heating and a small refrigerator. Hotel facilities include a comfortable lounge, sun terrace, swimming pool, a full service restaurant, beach front lounge chairs and umbrellas (when in season), and a Wellness Spa Center. There are sea view rooms available at an extra cost. The full breakfast is taken in the hotel’s dining room or on the outside terrace by the harbor. The three-course dinner is from a table d’hote menu that changes each day and specializes in local cuisine. Dinner is always a feature on the holidays – a relaxing time to socialize with good food, wine and to swap stories about the day’s walking or anything else! Lunches are eaten on the trail each day, either packed or at a café’ along the route. Accommodations en-suite for seven (7) nights (based on double occupancy) at Hotel Marina Soller located in Port Soller. Meals are half board and include breakfast and evening meal each day. Transfers between the airport and the hotel. Travelers on flights arriving at Palma de Mallorca Airport will be met at the airport and transported by coach to our holiday base. Transport to and from each day’s walk. The travel through these magnificent mountains is a big feature of the holiday. Full program of guided walks with experienced tour leaders and professional guides for five (5) days and one (1) free day. Personal touring services from our tour leaders who arrange all aspects of the holiday for you and are with the group every step of the way. This is a land only holiday so your flight to and from Mallorca’s Palma de Mallorca Airport is not included. We are happy to assist you with providing flight information from your local airport. Lunches and beverages are not included. Local tourism tax paid to the hotel in local currency (approximately 1 to 2 Euro per person daily). There is a single supplement of approximately $320 for the 7 nights and will be quoted at the time of booking. There are two grades of walking on our Mallorca Holidays, moderate and easy and each is led by an experienced guide. All levels include some ascent and descent and miles covered will typically be lengthier for the moderate level. All levels are done at an unhurried and manageable pace with stops to rest and take in the scenery. Our guide partner, well-versed in the area as well as in the terrain and weather conditions, will provide route details and path information for each day’s walking itinerary. Choose the option on the day of the walk which best suits your interests and fitness level. Whichever walking level you choose, you are guaranteed an invigorating experience amid stunning vistas, all distinctively part of Spain's Mediterranean charm.The paths are well maintained with clear signage and are suitable for all abilities. Moderate walking grade: We walk 8 to 9 miles daily and ascend and descend at least once per day up to 300 meters. Underfoot conditions in Mallorca can be rocky or stony as it is limestone country but all care is taken and we do not rush. Easy walking grade: We cover between 5 and 6 miles and usually at a slower pace. There will be hills to ascend and descend but we will take these steadily and we do not rush. We often include sightseeing in the villages and other stops that are of interest along the walks. Cala Tuent. Classic varied walk to the idyllic Cala Tuent cove. Valldemossa - The Arch Duc Path. A lovely walk above Valldemossa and Deia along an ancient way, then descend through the Fontenelles Valley back to town. Deia - Soller. On the GR221 National route from Deia to Port de Soller via the lighthouse and bay. Castell de Alaro. One of Mallorca’s most well know walks is to the Castell, perched on one of the “Molar Mountains,” once a Moorish stronghold where you can explore the ruined castle and take in the amazing views out to sea. Tossals to Lloseta. Starting under Puig Major, at the Cuber reservoir, ascend the Pigeons Pass and down to Almendra and Loseta. Binifaldo – Menut – Lluc Monastery. 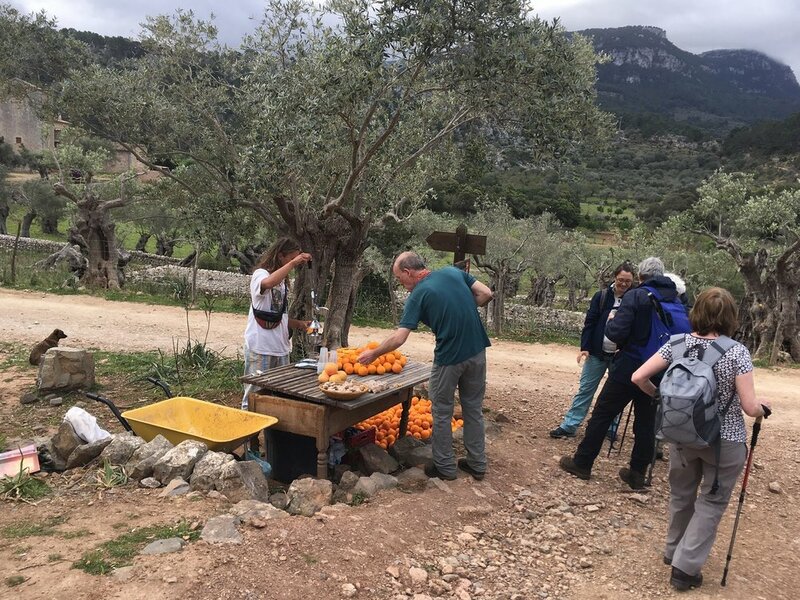 Starting at Coll de Sabatia, reaching Coll des Palat, with superb views of Massanella, the second highest peak and finishing at the historic Lluc Monastery. Cuber - Es Barranc to Soller. 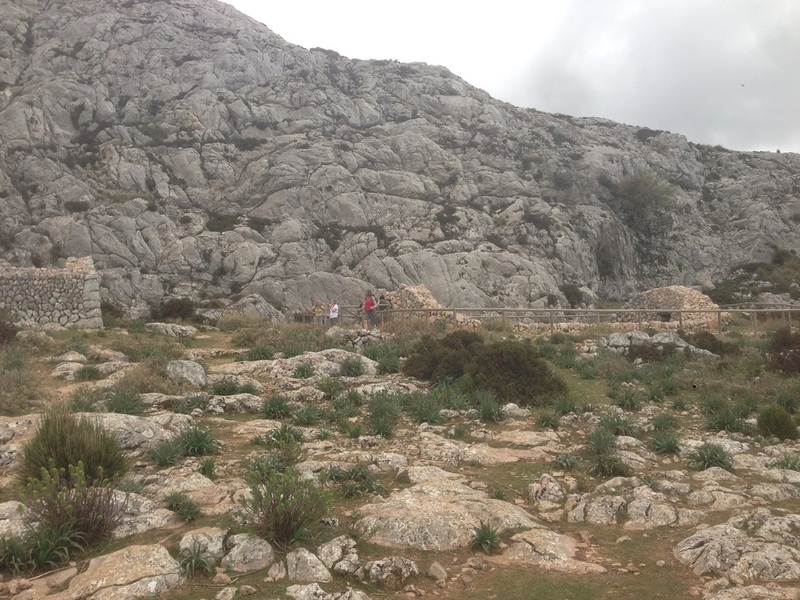 Climbing the majestic L’Ofre peak, then descending the Barranc on an ancient Pilgrims Way into Soller Town Centre. Ses Barques View Point - Fornalutz - Soller - Hotel. 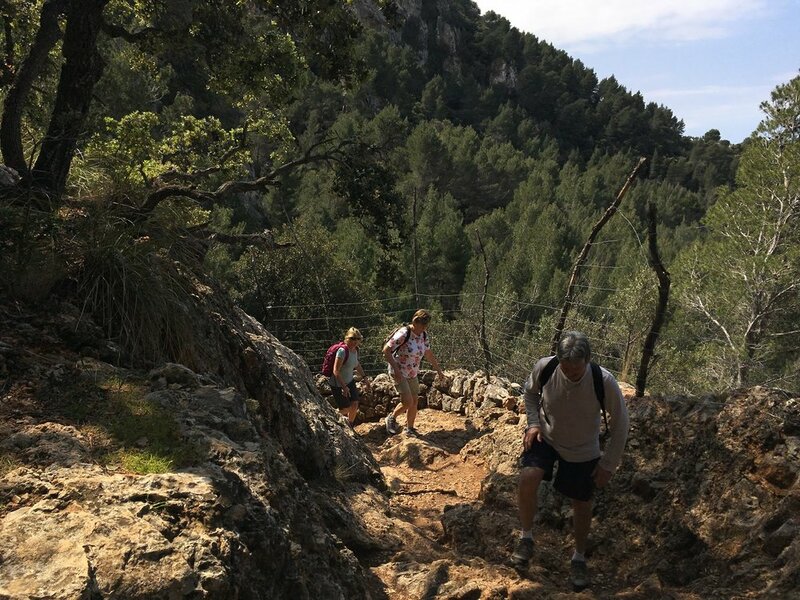 Wind down the path from the Ses Barques viewing point through the idyllic village of Fornalutz and the Soller Old Town - past orange and lemon groves, olive trees and a wide variety of trees and shrubs. Great Circle Route is pleased to be associated with Secret Hills Walking, our partner in Europe Walking. 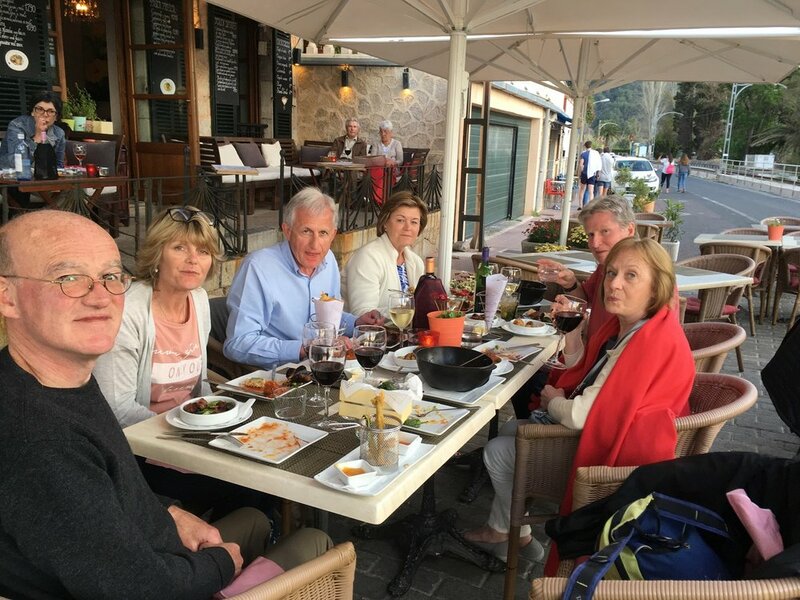 Secret Hills Walking has been in the guided walking tour business in the United Kingdom and Europe since 2002, and as walkers themselves, they appreciate and understand the requirements of a walking holiday. Great Circle Route develops itineraries focusing on walking/hiking, history, gardens and culture of the places we visit and we personally research, fully vet and coordinate all holidays with Secret Hills Walking to ensure our guests are completely satisfied. Our touring team comprises leaders from Great Circle Route and Secret Hills Walking and often we complement the team with local guides who are passionate and knowledgeable about the area and the walking routes. Mallorca, Spain. The Balearic Archipelago, located a short distance off Spain’s Mediterranean coast, includes three large islands – Mallorca, Menorca and Ibiza, two smaller inhabited isles – Formentera and Cabrera and many uninhabited islets. Mallorca is the largest island and the capital is Palma. Mallorca’s Mediterranean climate has made it a popular European destination for sun-seekers for centuries. 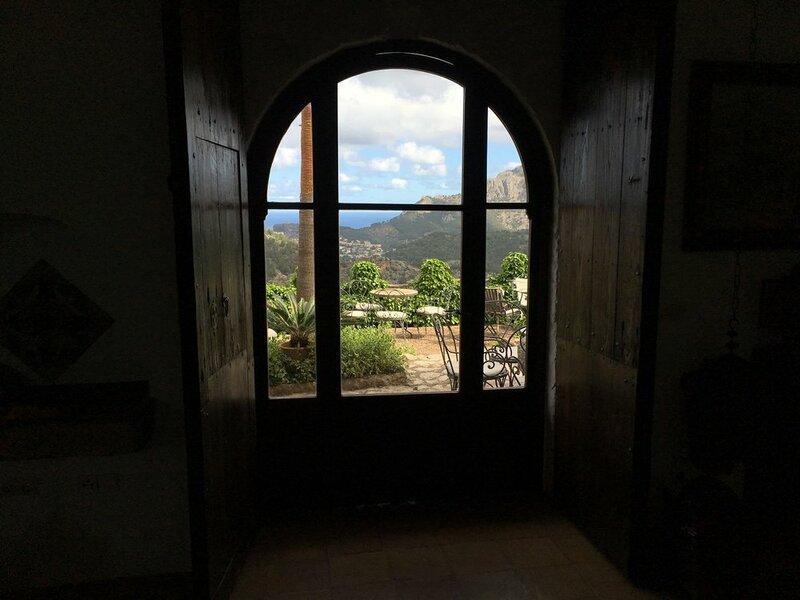 Many visitors still flock to Mallorca for the resorts and beaches but many go to visit the quieter areas of natural beauty to hike in the mountains and to tour the gardens, monasteries, grand manor houses, and museums. 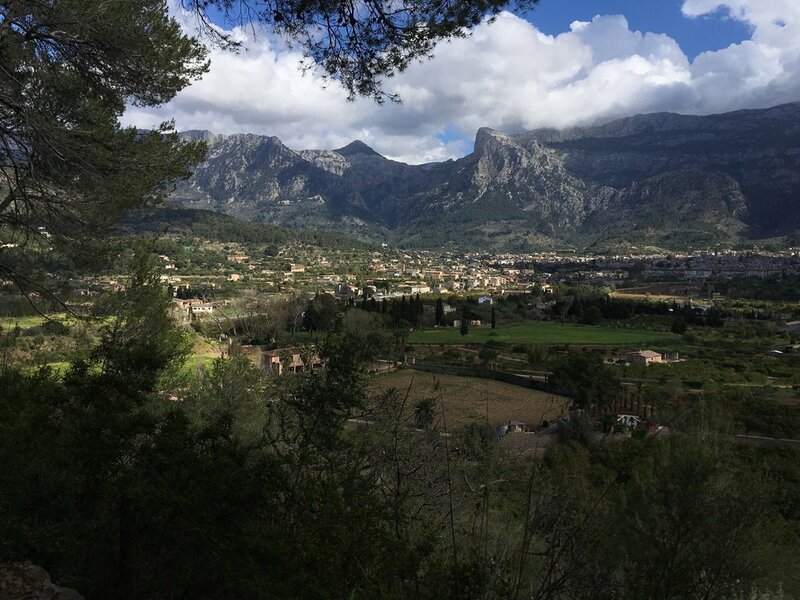 The mountains of Mallorca appeal to walkers/hikers because of the trail infrastructure and stunning scenery, as well as to amateur and professional cyclists who like the challenge of the twisting mountain passes. Serra de Tramuntana. The walking in the Tramuntana Mountains is excellent. The paths are well maintained and there is a vast range of walking networks running along the mountains that cover the north and western portion of the island. The rugged coastline with its spectacular cliffs plunging into the sea, afford expansive views of the sea, surrounding mountains and inland valleys. The mountains rise in limestone crests with the highest being Puig Major at 1,445 meters (4,740 feet) and runs parallel to the coast in the northwest. Pines, junipers and holm oaks are interspersed with olive trees and terraces of vegetables and fruit trees which surround the hillside villages. The central plain is divided by low walls with fig and almond orchards and market towns. Port de Soller is a lovely old port situated in a protected harbor on the Mediterranean Sea. There is a promenade that runs the entire length of the sea front and harbor. There are many restaurants, cafes, souvenir and boutique shops and there is also a tram that goes to the Town of Soller. Pathways link villages in the area inland and along the coast and are easily accessed from the village. There are boat trips to Sa Calobra and Cala Tuent where you get a close up view of the massive mountains rising from the sea floor. 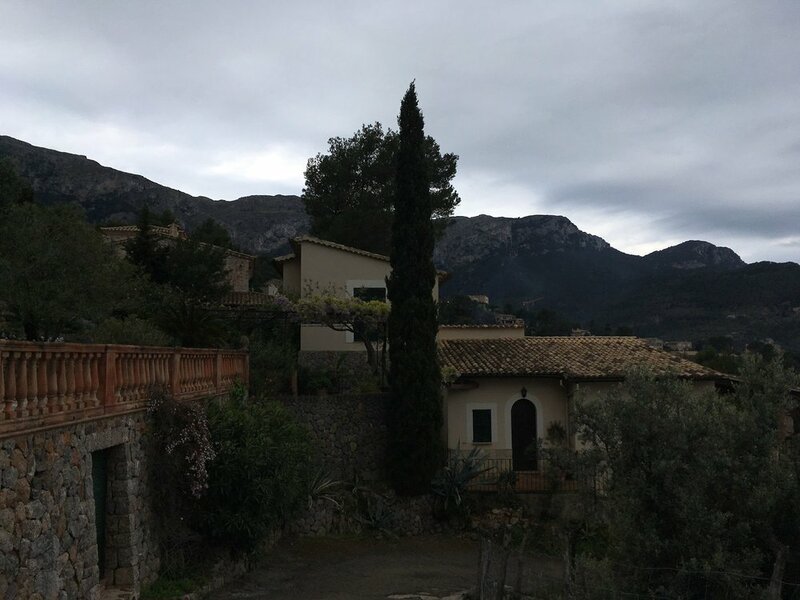 Town of Soller is in a lush valley of orange and lemon groves between the mountains and the sea half way along the northwest coast of the island. Soller is a bustling town with many cafes, tapas bars, shops and quaint squares. There is a narrow-gauge train which connects with Palma (17 miles). Palma City is the capital of Mallorca and can be explored for its historical city center, cathedrals, museums, and gardens. Getting to the Mallorca holiday. The price for this holiday is land only and does not include flights from the United States to Mallorca. We can help research your options for arranging travel to Mallorca. Airfare may cost between $600 and $1,300 round trip between the United States and Palma de Mallorca, depending on where your flight originates, the time of year and when you make your booking. Budget airlines from several European capitals may offer a better price if you are adding onto a trip to other parts of Europe or are booking separate airlines to a major city. For instance, from London area airports, the round trip price is anywhere between $60 and $200 nonstop. When scheduling your flights, keep in mind that it is ideal to arrive mid-afternoon to allow yourself a bit of time to relax. Please note that the published holiday dates are the dates you arrive in your holiday area and not when you leave the United States. Extra days and nights. If you are interested in adding any extra days and nights to your holiday to explore more of the area, and you would like our help, please let us know. Passport and Visa Requirements for U.S. Citizens. Passports must be valid for at least three (3) months beyond the period of intended stay and issued within the past ten (10) years. It is further recommended that your passport have at least six (6) months validity remaining beyond the date of completion of the holiday and ensure there are a sufficient number of blank pages in your passport (usually 4 to 6). Consult the U.S. Department of State's website for the most current country requirements. No Visa is required for stays up to 90 days. Weather. The climate on Mallorca is typically Mediterranean with mild winters and hot summers. The holidays operate when the temperatures are not too hot — in Spring when the flowers are lovely and the land is a green paradise and in the Autumn when it is still warm, ideal for walking. Official language. Spanish is the official language of Mallorca, but English is widely spoken as are the local languages of Catalan, Galician and Basque. Travel insurance. Travel insurance for financial protection and peace of mind is recommended. Unexpected events before or during a trip may leave you with cancelled plans, delayed flights and missed connections, lost or damaged luggage, or unforeseen medical expenses. Therefore, we strongly recommend obtaining Travel Insurance to protect your travel investment. Companies that provide comprehensive policies include Travel Guard, Travel Insured International, Allianz, Travelex to name a few. Sustainability. We support, where applicable, the concepts of responsible and sustainable tourism. Our trip will involve the use of in-country and local industries for all our visiting needs whenever feasible and possible.